A while back I wrote the article How to Choose the Right Hair Dryer and while I was writing it I made a mental note to write a Solano hair dryer review. 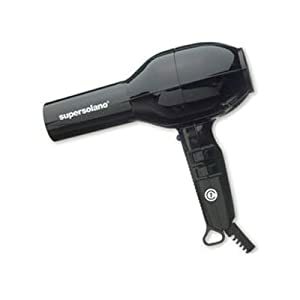 Solano is a favorite brand of hairstylists and is overlooked by many women who are shopping for a hair dryer as it is often touted as a “professional” tool and is mostly marketed to professional hair stylist. If you are looking for a brand to last the rest of your lifetime, consider a Solano. The base of any great hairstyle starts with the blow dry. A good blow dry sets the foundation for other places you may want to take the hairstyle. You probably know all hair dryers are not created equal but do you know what makes one hair dryer better than another? If you aren’t a professional hairdresser, you probably have never had a reason to search for a better hair dryer but some are simply better than others for your hair and for the makings of a great hairstyle! The best hair dryer I ever owned was a Solano brand. I used it behind the chair daily for about 6 or 7 years and then for personal use at home for another few years before it finally called it quits. I thought I could buy a new hair dryer, that wasn’t a professional hair dryer, as I would just be using it on myself. So I bought a typical consumer hair dryer, thinking that the brands that incorporated the ceramic, ionic technologies must have as good of results as the Solano hair dryer. I was wrong. The Solano brand hair dryers are amazing. They have the highest air-flow pressure for the quickest drying time and with a relatively quiet motor. The Solano Pro hair dryer below was like the one I had, with 2 speeds with 5 heat settings and a cold shot button that actually shoots cold air. A good cold air shot button is hard to find in hair dryers. On a previously heated round brush curl, a good cold shot sets the curl and gives a shiny finish to the hair. And, the 5 heat settings gives lots of flexibility for styling with less damage and just the right amount of heat needed to set the style. Solano is a professional brand hair dryer. If you are wondering what qualifies a hair dryer to be called, ‘professional,’ basically it’s that it is motor driven which means it will withstand heavier usage. But there is much more to the Solano hair dryer . . . I’ve tried a few other hair dryer brands since and have been disappointed with all of them. The ceramic, ionic technologies which claim to do better, all came up short. Nothing has come close to my Solano hair dryer. You can find all of the details and order online on the Solano website or if you want to check out the reviews see Folica.com and Amazon both which have great consumer comments. April 17, 2014 By: Barb Quinn Hairstyle Blog Leave your comments (4), Your input matters. Thank you for your feedback Melissa! We’re happy to hear that you found a hair styling tool that works well for you. 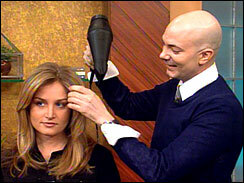 Check out this article for great tips on how to make your hairstyle last even longer! I love Solano’s features. It’s true that blow-drying is essential in styling your hair. So it is but proper to choose a blow dryer that’s best for your hair. Choose wisely. I’m wondering if I would need a blow dryer higher than 1800 watts? I have a fairly thick grade, black textured hair. My hair is not coarse, but not fine either. Thank you.